Audi TT Roadster 45TFSI 2.0 S-tronic 245hp quattro. For a comparatively small car in the line up there’s a staggering 40-strong choice in two or all wheel drive, with Coupe or Roadster bodies, diesel or petrol engines attached to manual or automatic transmissions. No wonder you see so many on the roads. 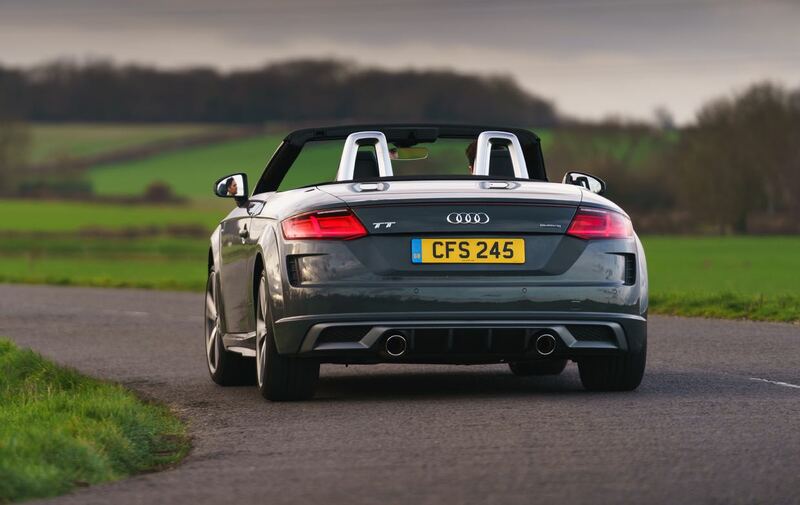 With spring approaching I really took advantage of the latest Audi TT Roadster 45TFSI 2.0 S-tronic 245 hp with its fully electric folding canvas roof. Our short spell sunny days are lengthening and the ability to open-up or snuggly close the roof in a matter of seconds is one of the best features. 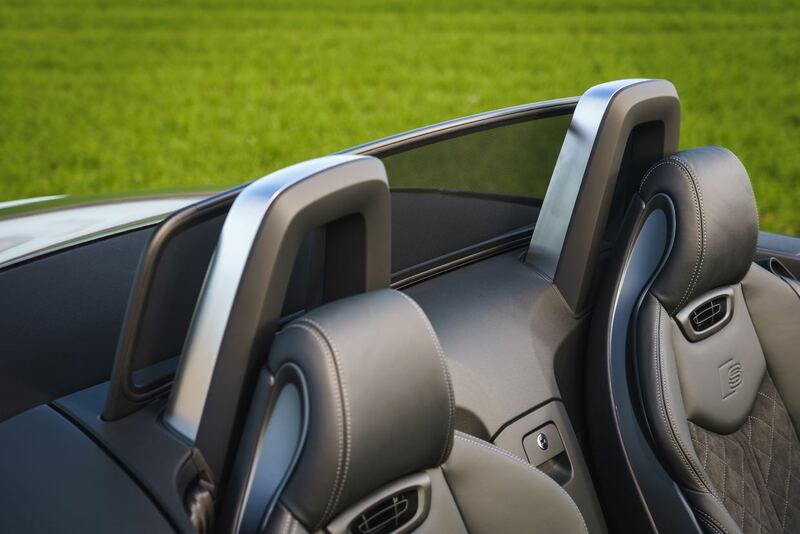 It is a highly sophisticated system which slightly drops powered windows while it stows behind a tonneau cover or reverses the procedure to securely close the glass against the roof sides. Wind and water-proof it’s a delight to experience and use because its so refined. The upper ratios in the automatic box are overdrive and on long runs in the most miserly setting we saw near 40 mpg at times. The instant punch of power if needed is there and the changes are silken and swift with little advantage gained in using the manual paddle shifts on the column for most occasions. Then sometimes you want to use them for the feel and fun of it and there is no drawback, just delight. With its quattro, or four-wheel-drive, transmission and grip there is never a moment’s concern for its cornering ability on any surface and that is so reassuring in our climate in the UK. The highly developed system means there are nothing but benefits to be had and the whole car stays planted on the road and responds to the driver’s input with sharpness and confidence, and no concerns. The two people inside certainly have a comfortable cabin, not ideal if you’re over six feet tall however, but the backrests and cushions are well shaped and hold well with modest adjustment range. You can specify heated seats for the coldest conditions while the climate control is excellent with simple, efficient and effective output. For: Excellent build quality, refined cabin and hood, sophisticated systems, comfortable seats, sharp handling, tenacious grip, quick and fairly quiet. Against: Expensive options, modest economy, some road noise, small boot and oddments space, ungenerous warranty. 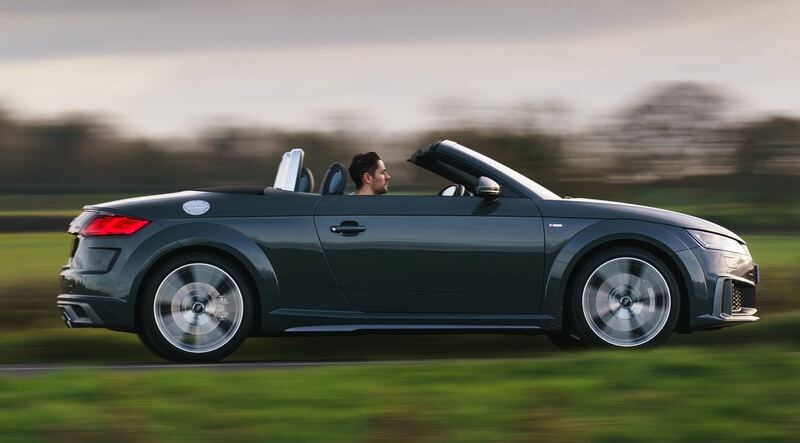 Audi TT Roadster 45TFSI 2.0 S-tronic 245hp, quattro. Price: £47,460 as tested (see text). Mechanical: 245 hp, four cylinder, 2.0 litre turbo-petrol, seven speed auto, quattro 4WD. Max Speed: 155 mph, 0–62 mph 5.5 seconds. Fuel consumption: Combined cycle 34 mpg. Emissions and taxation: CO2 emissions 165 g/km (dependent wheels & tyres). VED First Year road tax £530, Standard rate £145 + £310 annual supplement for five years as it costs more than £40k, BiK company car tax rate 37%. 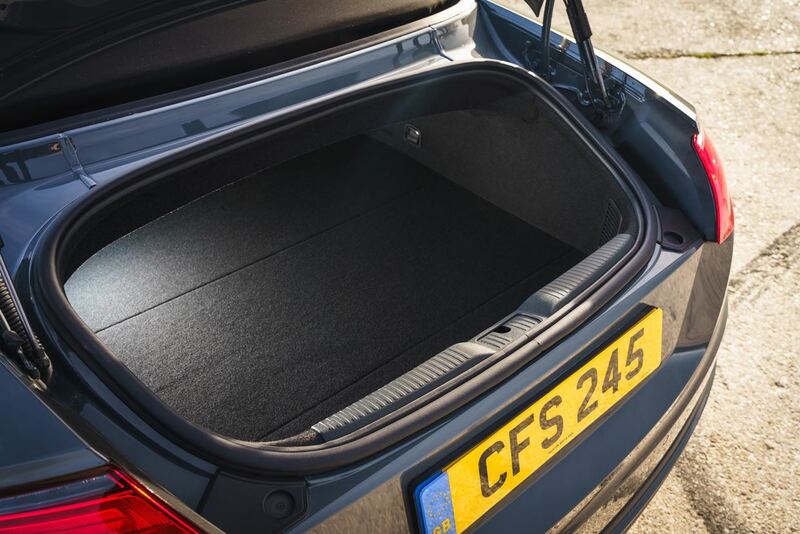 Sizes: L 4.20 m (13.78 ft), W 1.97 m (6.14 ft), H 1.36 m (4.46 ft), boot space 280 litres (9.89 cu.ft), two doors/two seats.